Burnaboy - "I Watch Old Nollywood Films". 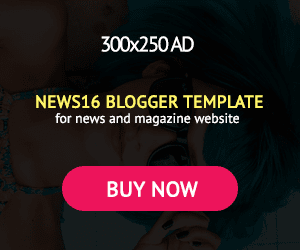 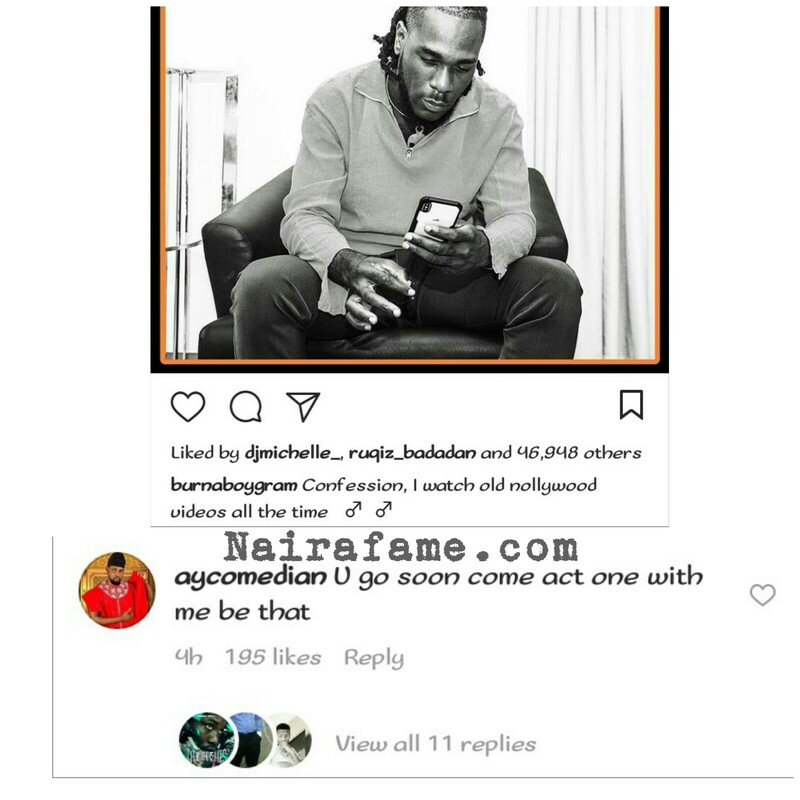 See AY Comedian Reaction - NAIRAFAME | Best Entertainment Platform. 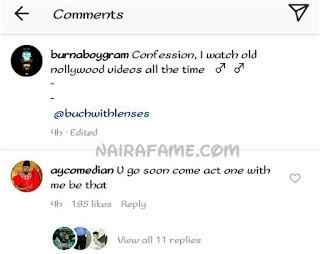 Popular controversial musician Burna Boy says he loves watching old nollywood movie, meanwhile Ay comedian disagree with him says he will be inviting him soon to act in nollywood movie.